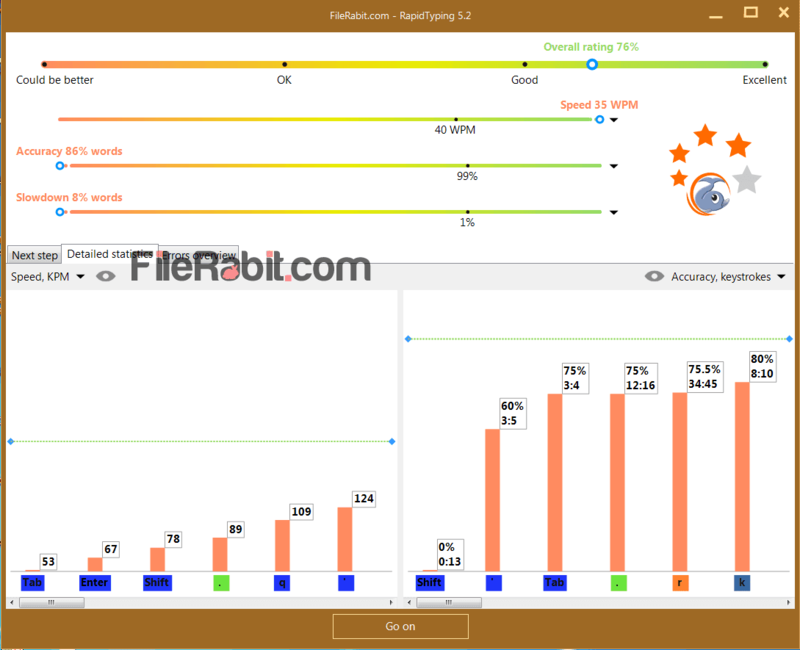 Rapid Typing Tutor colorful typing master software used to speed up overall typing speed with accuracy, perfection and animations of different games. There are a huge competition between typing tutor collection but most of them are costly so a standard user can’t purchase it. Rapid typing tutor is one of small, responsive and rich feature multi keyboard typing assistant. Flash based games are also playing very good role as keystroke speeding utility. Typing Master Pro is one of leading software for increasing WPM with complete assistant. RTT has different lessons, learning feasibilities, colorful themes, keyboard layout with 104, 105 and 107 keys keyboard style. The course outline is divided into three parts, beginner, advanced and expert as well. However, rapid typing tutor is working as a teacher which will put the fingers on right keys. Learning and boosting keyboard typing speed with entertainment and fun way is better for both kids and adults. The developer has rich it with entertainment, colorful background effects, coloring scheme and more to learn about how to use computer or laptop keyboard in fun way. A perfect human body position will definitely impact on typing speed such as neck, hands and back positions are so important. Rapid typing tutor is showing finger position of both right and left hands on monitor screen. Furthermore, dozens of lessons with beginner, medium and difficult advanced lessons may help increasing typing speed rapidly. The stats will show detailed information about mistakes, late typed keystrokes, capital wording errors, speed in WPM (words per minute), accuracy, speed and more. The fingers of typist will be forced on target keystrokes but the eyes of typist should be on monitor screen. Typing without looking on keyboard is perfect technique for faster typing speed. 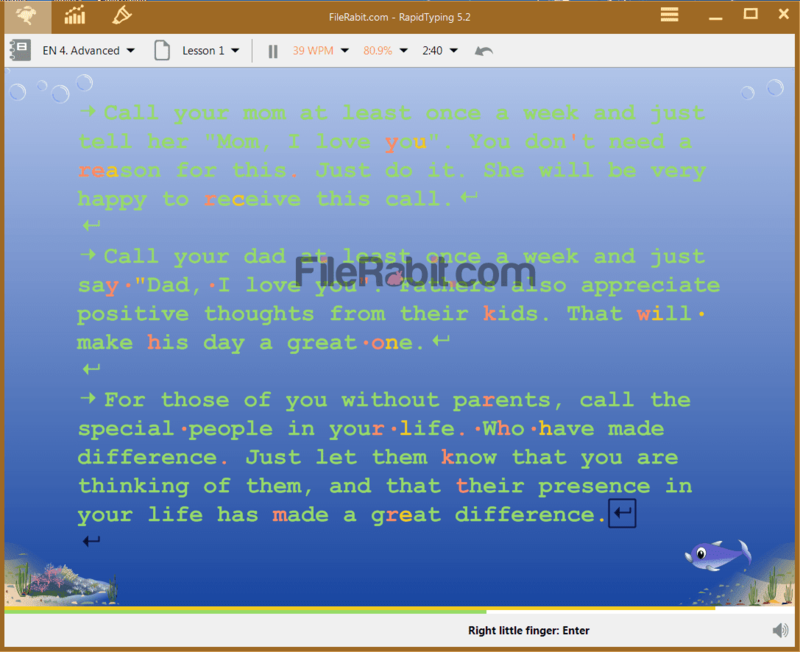 Kids may speed up their typing speed because of its colorful background coloring, keystroke theme, paragraph typing with different templates as well.